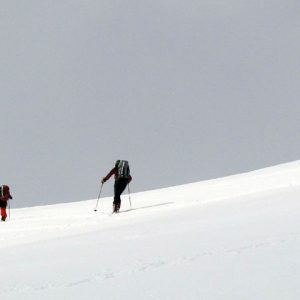 Backcountry skiing is one of the nicest and glad activities we can perform in the Pyrenees during winter, enjoying the beauty of the winter mountains, its dawns and the beauty of the snowed landscapes. 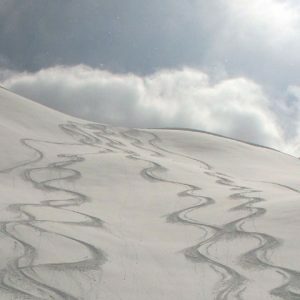 This modality will allow us to comfortably move through winter mountain, and once complete the ascension we have planned for the journey, we will be able to enjoy an amazing downhill skiing. 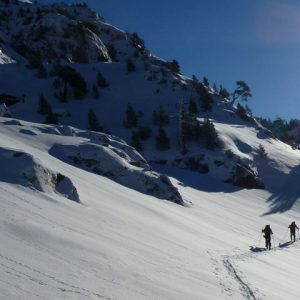 This sport has more and more fans, some of them are mountaineers that dare to enjoy the Pyrenees also in winter and others come from alpine skiing and think about going a little bit further to escape from the crowds in the ski tracks. 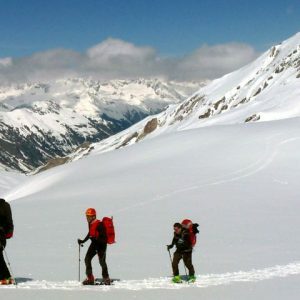 We can also plan several day journeys or even mountain skiing trips to different countries that will allow us to discover different and amazing destinations. 1 to 6 people depending on the difficulty of the ascension. 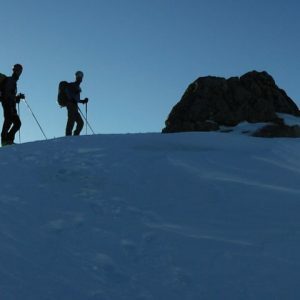 We offer you the possibility of making both a one-day ascension and ascensions that need a sleepover in a shelter, to different classical mountains in the Pyrenees. 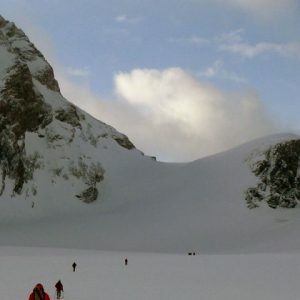 Great journey in the Ecrins massif, known also as “La Grave – Vallouise” with included climb to a 4.000 metres peak, the Dôme de Neige des Ecrins. 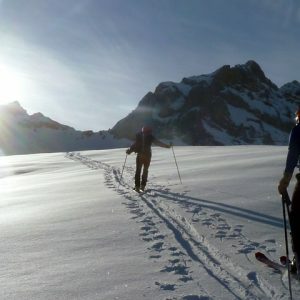 One of the most beautiful and demanding routes in the Alps, inside a wild environment.